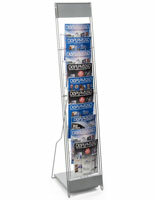 These five pocket magazine stands only take a few moments to setup and knockdown for convenient use. 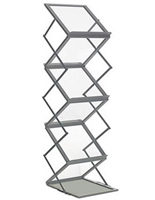 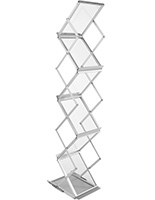 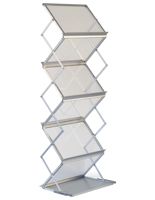 The literature displays feature a silver finished aluminum construction with plastic dividers for a solid structure. 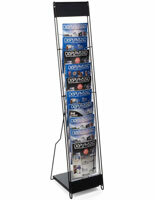 Magazine stands with a collapsible design, also known as portable tradeshow fixtures, come with a travel bag for easy toting. 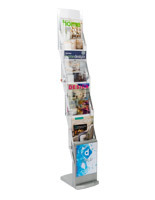 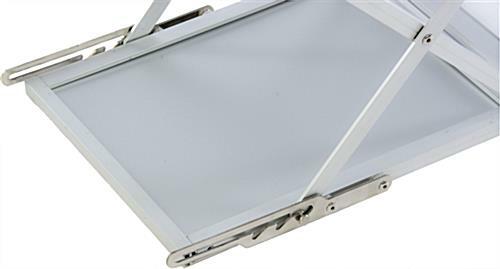 Literature displays are designed to support A4 printed materials on the five trays. 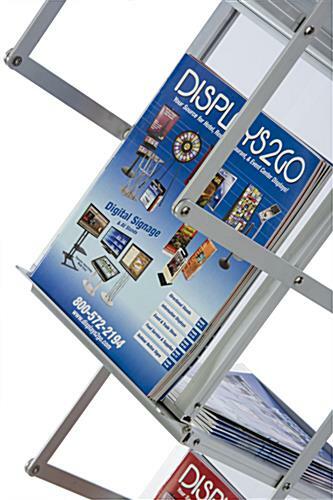 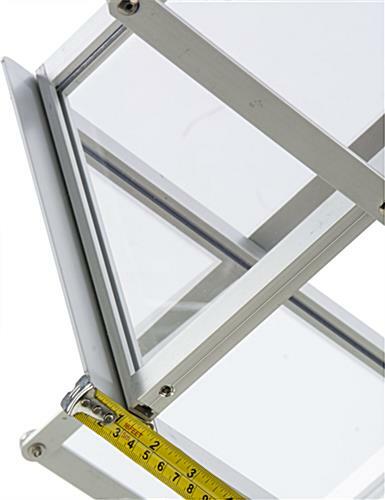 Stands allow users to adjust the height to the appropriate position for advertising the contents. 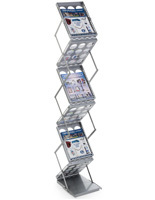 Portable tradeshow fixtures have a stable base for use in heavily trafficked areas. 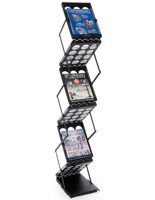 10.3" x 13.0" x 0.75"
17.3" x 5.0" x 12.3"